January Sets - Preview Day! Today I'm so excited to post a preview of our releases this month! We will be adding two sweet love-themed sets to our collection! Starting tomorrow we're going to showcase these four sets with our whole design team and then both sets will be available for sale on Friday, January 17th! 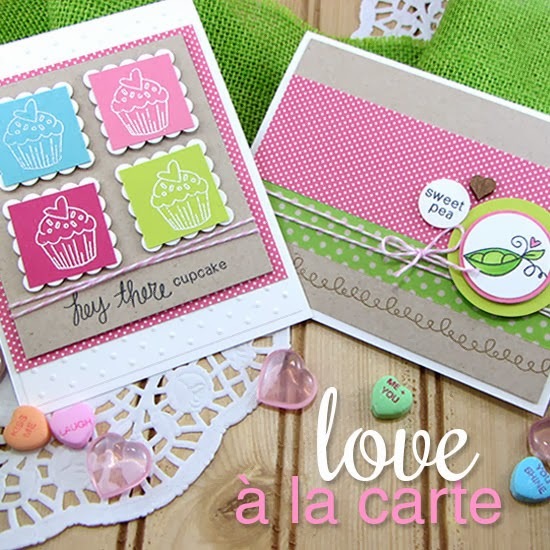 Make some yummy cards with this 4 x 6 stamp set! Filled with yummy and sweet food icons this set is sure to please! Find your favorite term of endearment -- honey, cupcake, sugar -- and make a card for all the sweet ones in your life! Great for Valentines, Love, anniversary, friendship and baby cards! Here's a preview card showcasing one of the stamps from this set! Check back tomorrow to see the reveal of the whole stamp set and projects made by our Design Team! Are you ready to make some sweet cards? Come back tomorrow for the first full reveal and a chance to win! I Love these sweet new stamps preview! Your cards are the cutest!!! Love how you created background for the pictures. And what a nice paper choice. I love these Jennifer.I must admit I also REALLY like the photography...great way to show us some wonderful stamps and cards from the new release! Absolutely, completely adorable! I'm sensing versatility and possibilities unlimited with these two sets. The little sweet pea stamp has caught my eye...sweet, indeed! Excited to see the full release! These are adorable of course! Can't wait to see the reveal! 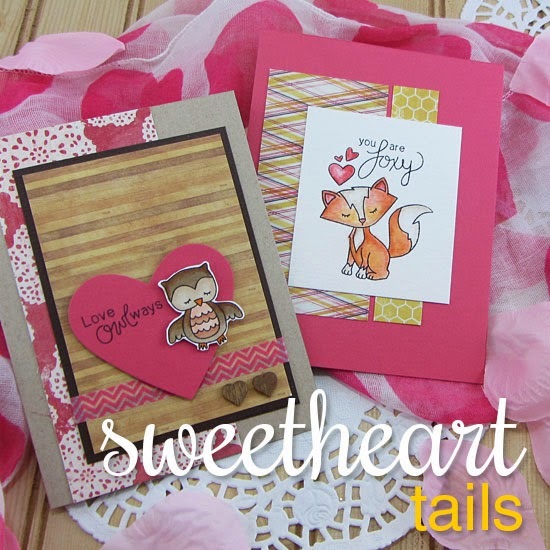 I can't wait to see the entire set of Sweetheart Tails! Love the fox and the owl... might Newton be making an appearance, too? Looking forward to the design team inspirations! Awww! That fox is so cute! Can't wait to see the whole set! Oh my gosh those animals are soooo cute.